How to verify that your Google Analytics isn’t tracking? Many Google Analytics users have been there – you log into your Google Analytics account and see an unexpected huge decline in traffic. It has flatlined and your Google Analytics isn’t working anymore. Or you installed your Google Analytics or Global Site Tag code on your website a couple of days ago and you’re still not seeing any data in your reports. P.S. Once you have successfully installed the tracking code on your site, it can take up to 24 hours for data to show up in your regular reports. If your Google Analytics is not working as expected and your data isn’t showing up in reports, you can quickly go through this troubleshooting guide and effectively pinpoint the culprits behind your traffic drop. The Real-Time reports help troubleshoot your Google Analytics setup and show all current activity on your site. If you have active visitors on your website and you don’t see any data in your Real-Time reports, your tracking code is not sending any information to your Google Analytics account. This quick and easy test is a good indicator whether your Google Analytics tracking code is working properly or not. Sign in to your Google Analytics account. Choose the right property and navigate to the right view in this property. You’ll probably see only one view in this property if you just recently installed Google Analytics on your website. Open your Real-Time report, wait a couple of seconds and you should see the number of all current active users on your site including yourself. If you don’t see any activity on your website, your Google Analytics isn not working properly and you should try to fix it. 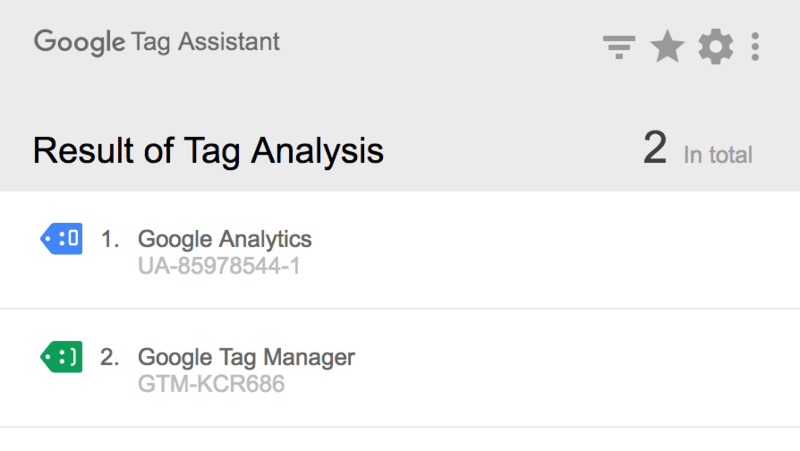 Google Tag Assistant shows you whether your Google Analytics tracking code is firing correctly on your website or not. You can record your activity on your own website and analyze all the hits sent to the Google Analytics property later on. This tool will notify you if there were any errors associated with those hits and will let you know what’s wrong with your Google Analytics setup. Install the Google Tag Assistant Chrome extension to your browser. If you’ve done that, the Google Tag Assistant icon should appear in the extensions bar of your Chrome browser. Refresh your page and see whether your Google Analytics tag fires correctly or not. Start recording your activity on your website by clicking the record button in the lower left corner of the Google Tag Assistant window. Begin navigating through the flow. Stop recording by clicking the stop button in the lower left corner of the Google Tag Assistant window. Analyze the full report to find more details about your recording. If you open your Network tab, you’re able to locate a specific type of request using the filter feature. Type in “collect” to see all hits sent to the Google Analytics endpoint. Keep in mind, a successful request would have the response code 200. Keep your Network tab open and refresh your page. You should see a list of requests your browser has made. If your page view request has the response code 200, everything is fine – page tracking hits are sent to Google Analytics servers. If you’re not seeing any requests, you might have problems with your tracking code (or you’re just using the old tracking code version). b) Be sure to preserve the code formatting when copying your Global Site Tag or GTM tracking code and pasting it directly into your website’s pages. I recommend copying your tracking code straight from your Google Analytics property. Function names are case sensitive. Boolean values (e.g., true or false) should not be enclosed in quotes. d) Make sure you’ve installed your Google Analytics tracking code in the right place on your website. It should be pasted just before the closing </head> tag. Yes, it does work if it’s installed in the body or footer section as well but then it takes more time to load and there’s a chance that you won’t capture all data. Verify that you’re tracking the right property and view. If you have access to multiple Google Analytics accounts and properties, there’s a chance that you might be using the Google Analytics tracking code from another property, or you may be looking at reports in the wrong account, or for the wrong property and view. Make sure that your Google Analytics ID (UA-XXXXX-Y) installed on your website matches the ID you see in your Google Analytics property settings. Make sure you haven’t configured any filters that can inadvertently filter all of your data from your reports. It usually occurs when you include multiple “Include” filters. P.S. Filter order matters in Google Analytics. It’s the wrong way to include social and cpc traffic. If you use a regular expression, Google Analytics will include only organic and cpc traffic and everything is fine. 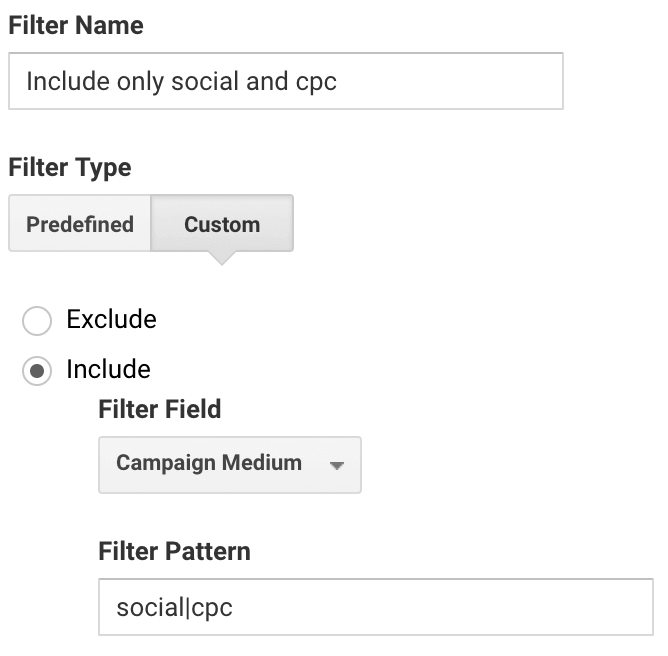 It’s the correct way to include social and cpc traffic. You can read more about Google Analytics filters here. User-ID tracking needs an additional code implementation and if it’s not done, your Google Analytics view will contain no data. Keep in mind, if you turn on User-ID reports in your Google Analytics view settings, the view will record only the data associated with the User-ID. Bear in mind, if you create a new User-ID view, you shouldn’t remove other existing views. Ensure that other scripts on your page are not using the same variables as Google Analytics. If they do, you’ll have problems. Here you’ll find all the variables that the Google Analytics tracking code uses. Hopefully, you now have a better understanding of how to troubleshoot and fix your setup if your Google Analytics isn’t working and your traffic is flatlined or you see a significant drop in the number of sessions. Taavi is the Analytics Developer at Holini. He can be seen and heard at marketing conferences, Google product forums, support communities, and developer meet-ups alike. He is also an active Google Analytics community member. When he’s not working, he’s probably hiking or bungee jumping somewhere.